Gaye Willcox Norman Dip. E.G.S. "Gaye has a professional background in Graphic Design, traditional upholstery and a lifelong passion for plants and gardening. 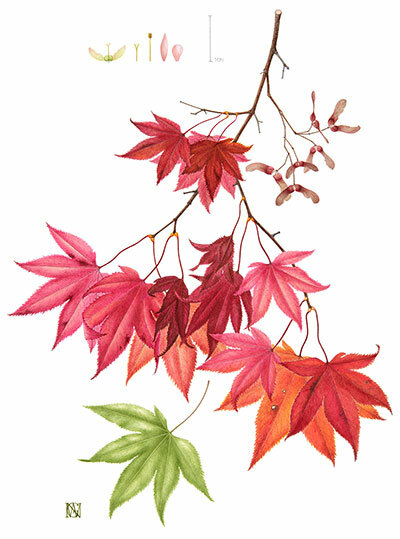 This naturally led her to pursue her love of botanical illustration." Born was born in Wiltshire and emigrated to Australia with her parents as a child. There she trained and worked as a Graphic Designer, and after returning to the UK she worked in a London studio before moving to Oxfordshire. Here Gaye pursued an interest in Traditional Upholstery and the conservation of upholstered furniture and went on to teach the traditional techniques of antique upholstery. Her love of art, plants, gardening and landscape design has to this day been influenced by her mother who was a successful artist, crafts woman and gardener in Western Australia. 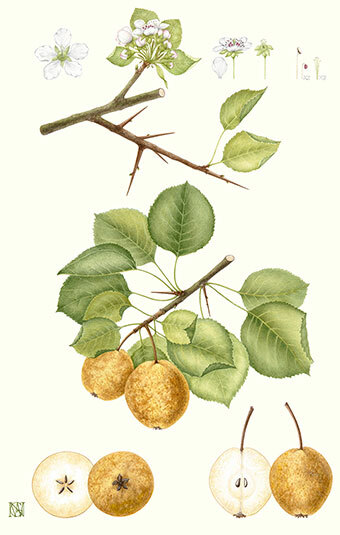 Botanical painting in watercolour had been a passion for many years inspiring Gaye to enrol on the E.G.S. diploma course at the Chelsea Physic Garden under Helen Allen. She graduated in 2011 and joined the Oxford Botanic Garden and Arboretum Florilegium, also the Cliveden Florilegium, recording the old fruit trees in the round garden. She is also a member of the group of graduates from the English Gardening School "Amicus Botanicus". Gaye works mainly on Hot Pressed Paper and Manuscript Vellum, using watercolours.